If there is anything social media marketers (or any marketers for that matter) need to get behind, it’s that it’s past time for them to set aside their own agendas and focus on their audiences first. Social media and connectivity are kind of an oxymoron. Social media has done a tremendous job at bringing us closer, but at the same time, it has pushed us away. In a world where social media has done so much good, many people and brands have used it in a way that strips its human connection. It’s time to bring that back. Schaefer’s quote, “Be. More. Human,” confirmed what most speakers touched on at Social Media Marketing World. 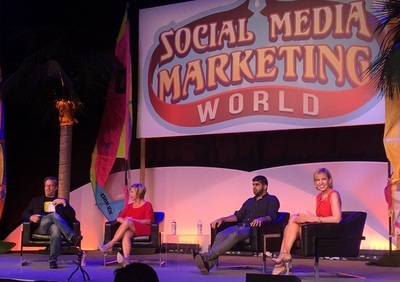 During the panel, “Live Video: Why the Future of Marketing is Going Live,” Kim Garst said brands should jump on the live video bandwagon as it helps build a know, like, trust factor. People want to feel like they’re a part of something bigger. Kim believes live video helps accomplish that. Shaan Puri, co-founder of Blab, couldn’t have said it any better. Your target audience wants to see the organic, raw form of your brand, not the manicured version. In his session, “How to Get People to Consume Your Content In a Noisy World,” Bryan Kramer explained that to cut through the clutter and the noise, you have to embrace the stories that truly make you unique. Brian Fanzo says that video is a great way to show authenticity and invite your audience behind the scenes. If you are doing good things, live video allows you to amplify that. People want access. They want to feel special. Take them there. 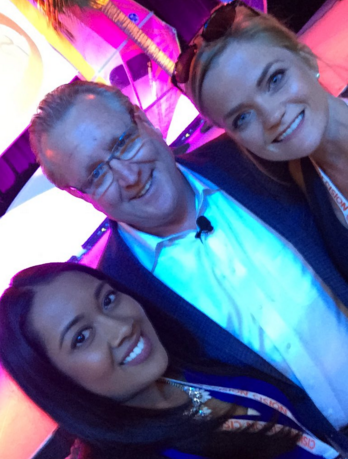 Jay Baer highlighted the importance of leveraging influencers to humanize your brand. We’re in a place now where people (aka influencers), are considered media. Leverage influencers to add a voice to your brand. People trust people, leverage that. Gary Vaynerchuk said, “Before you tell me about your product, you need to get my attention.” Before anything else, connect with your audience and tell them your story. Live video. Social media platforms such as Facebook Live, Periscope and Blab allow people to connect on a closer level. People want behind-the-scenes access. Customer service. Use social media as a customer service platform. Assist in real time and add personality. Leverage influencers. Jay Baer touched on the importance of listening to your audience and finding your influencers. People trust people more than brands. Influencers will allow you to have that intimate connection. Say that you don’t know. “Saying ‘I don’t know’ creates validity and authenticity for your community.” Brian Fanzo says your audience will trust you more if you are honest upfront. Don’t script your message. Polished, manicured and perfect is out. Invite people in, give them access, support their efforts and embrace the stories that truly make your brand unique. 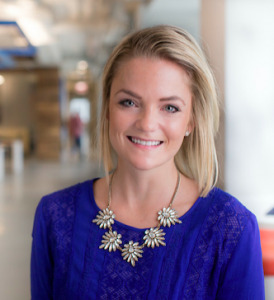 Michelle Dziuban is the Social Media Manager for Cision, where she has worked since 2012. With a background in marketing and advertising, she loves keeping tabs on emerging industry trends. Most recently, she appeared on one of the most popular marketing podcasts in the world, Jay Baer’s Social Pros Podcast (How B2B’s Can Rock Facebook Live Video) and authored a byline on CMO.Com (What CMO’s Need to Know About Live-Streaming). In her free time, Michelle enjoys yoga, running and being outdoors. Find her on Twitter @dziubs.